Are you thrilled, when watching sports? Are you a huge fan? If both of these questions were answered with ” YES” then you’ll just adore SportsBetting. 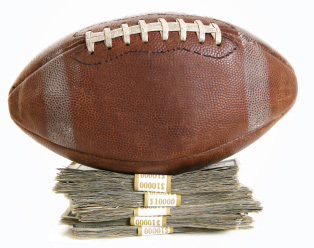 This is a Gambling Type, which allows you to place wagers on Sports Events worldwide! If a particular event is aired on TV, chances are that you can bet at it! You can place bets that predict several outcomes, not only the outcome on that hockey or soccer game, but also how many penalties will there be and much more! Each game features odds – these are usually higher than 1:1, so that a bettor would actually make profit, when he predicts the correct outcome! There are three types of Odds, which are offered. These differ by regions and you’ll likely find some of them in one country, while other will feature different ones. Decimal Odds are simplest ones and most used in Europe, Australia and Canada. As per title, these odds are in a form of Decimal Number, lets say 1.50 for example. So if you are betting on that soccer match, which features odds of 1.50, you would win $50 for every $100 staked. The easy way to calculate potential winnings are to just multiply the stake with the number over 1 of Decimal Odds. So $100×0.5=$50. Remember that SportsBooks always return your stake back in case of winning, which means that the total payout would be $100×1.5=$150. MoneyLine Odds are ones that are used in the USA. There are two types of these – Positive and Negative Odds. First ones are showing the amount of money that would be won, if the bettor would place a $100 wager. So if odds are +200, bettor would win $200 and a total payout of $300, given that $100 are wagered. Negative odds, on the other hand, show how much money has to be wagered in order to win $100. If odds are -200, you would have to wager $200 in order to win $100 and a total payout of $300. Fractional Odds are popular in the UK and Ireland. These are presented in a form of 3/1, for example. These odds would mean that a player who wagers $100 would win $300, in case of a correct prediction – total payout of $400. 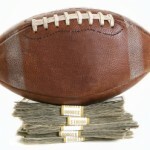 While there are a bunch of Bet Types in SportsBetting, let’s have a peak at the most popular and common ones. Straight Bets are ones predicting the outcome of the match and placing a wager on an odds line that has been set by SportsBook. So if there are 2.50 decimal odds offered at your favourite football team to win, by making this bet, you are making a straight bet. PropositionBets are ones that predict a very specific outcome in a match. If we are still watching that football match, we can predict how many yellow cards will be given or how many corners will teams take. Parlay Bets are ones that predict multiple events to happen. If one of the event doesn’t happen, bet is usually lost. However, there are specific Parlays, which do allow several mistakes and will still reward you with a payout.